When you purchase an aura reading device, you tend to get a software bundle along with it. This software bundle is just as important as the camera itself so you shouldn’t disregard it. Without your aura imaging software, your aura camera just won’t perform as well as you expect it to. You won’t be able to give your clients the advice and information they need to understand their aura. Here’s what you may need to know about the software and how it important it is to maintaining aura machine use. What is Aura Imaging Software? An aura camera and aura imaging system depicts in an image a representation of an aura. This information is stored in the form of digital graphical data and transferred to your computer. Without the right software, you just have a picture that tells you nothing about the aura and might not even show up correctly on the monitor screen. Aura imaging software from a reputable and reliable company is also essential if you want to use hand sensors to collect data in your sessions. The software will read the information provided by the sensors, interpret them for you, and present the data to you in an easily readable beautiful form. What Kind of Software Can You Get? Accurately read the aura photograph data provided by the camera. Provide a 3D image of the aura. Read the data provided by hand sensors. Study the aura representation of pets and animals. Some help keep client lists and details organized and manage accounts. How Do the Software Programs Help? They provide a detailed and clear image of the aura so you’ll be able to see all of the colors properly. The software programs will also provide their own report on the aura along with graphs and the descriptions. This will help you give more well-rounded advice to your clients on the state of their aura. The imaging software will highlight the most subtle hues and colors present in the aura and provide information on it. 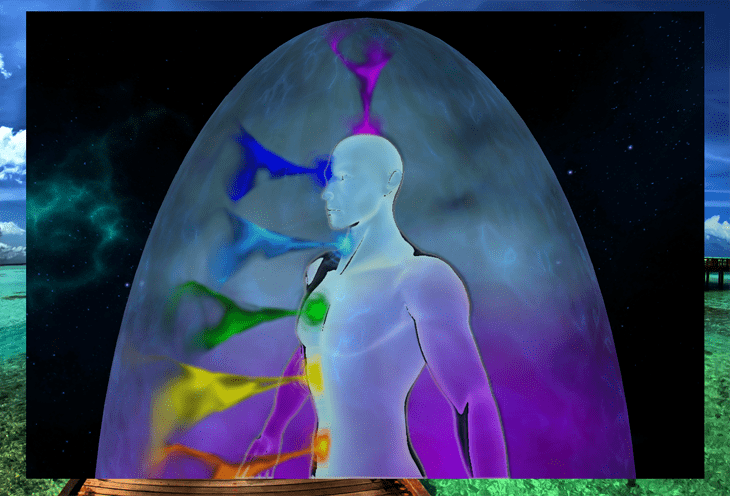 They will accurately identify all colors present in the aura. The software will also present all this information in a very organized manner. You can show the reports and 3D images generated by the aura imaging software to your clients to help educate them on the state of their energetic well-being.